During the summer season, the Smith Memorial Library is easily overshadowed. The respectable, brick building anchors its end of Bestor Plaza, but most people are drawn to its larger neighbor, the Amphitheater. 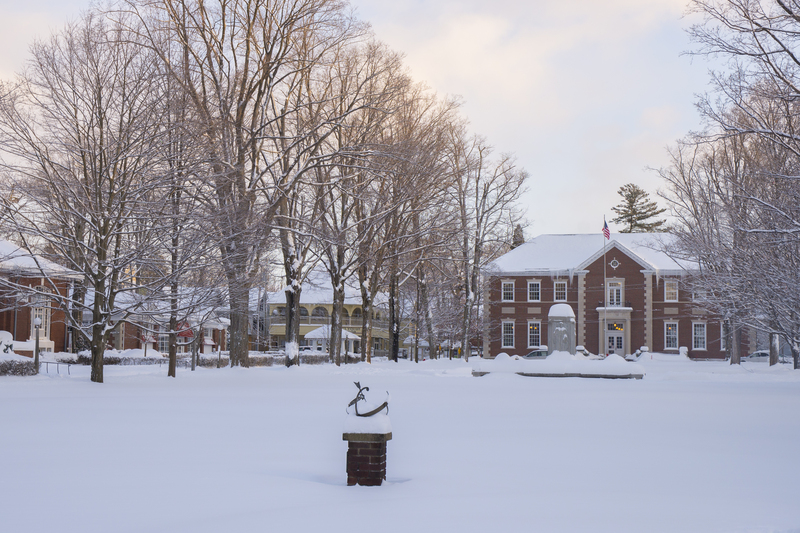 During the off-season, however, the library is the heart of the community of hardy Chautauquans who stay on the grounds all year. “With a smaller population, you’ll find people spreading out on tables doing puzzles, doing more of their office work here, and we’re happy to be that resource,” said Scott Ekstrom, director of the Smith. Rules relax during the winter, and dogs can join their owners among the stacks. The library even adds music to its contributions off-season. There is always coffee and tea, and the library staff will sometimes provide popcorn. Besides these less-formal offerings, the library still has some specific programs, including an annual Christmas lunch in December and a weekly game night on Mondays. There is also a weekly bridge group and a knitter group that uses the library’s spaces during the off-season. In the spring, Ekstrom hopes to pair up with the National Endowment for the Arts again for the Big Read program. Despite its central role, the number of people using the library dips considerably in the winter — from hundreds every day to perhaps a hundred on a good day. The respite gives Ekstrom and his staff a chance to recover and to prepare for next season. And for the few Chautauquans who remain through the dead of winter, the library becomes a place to check in with one another during the worst of Western New York weather.